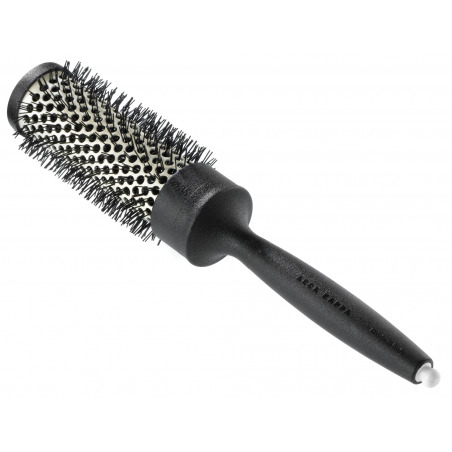 Acca Kappa Tourmaline Comfort Grip Brush. 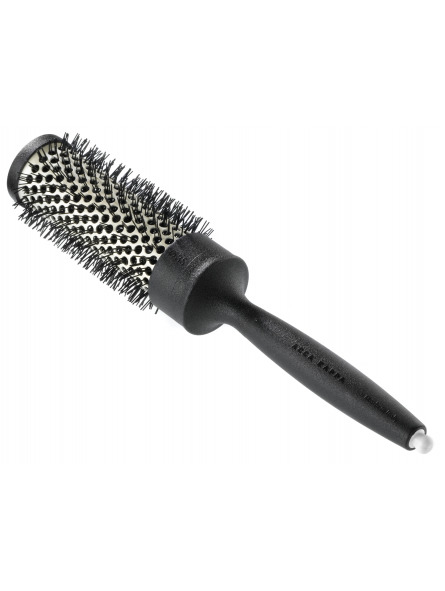 This styling brush will leave even the most difficult hair in pristine condition. The ergonomic handle is easy to grip as it is non-slip and made of carbon fibre. The tourmaline crystals that have been fitted into the aluminium barrel allow the micro particles to penetrate the hair adding moisture. This leaves the hair shiny with a healthy glow. Tourmaline also speeds up the drying process without damaging the hair. This brush is lightweight and comfortable to use.